Openwater Diver Class: Classes form daily. Dates at the student's request. Advanced Openwater Class: Call to schedule a date. Emergency First Response Class: Call to schedule a date. Divemaster Class: Call to schedule a date. Snorkeling Class: Call to schedule a date. 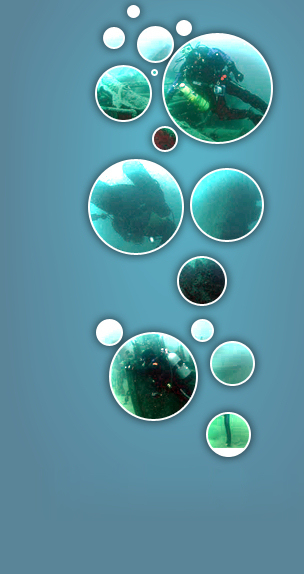 For additional dive classes we offer please visit our classes page. Visit our travel page for more information or contact the dive shop. Tusa has a number of dive gear specials going on now including a variety of dive gear packages and a $50 off coupon for the purchase of a BCD when you trade-in an old BCD. Come in on your birthday and receive one free tank of air. Proof of birth date required for a free tank of air. Now is a great time to get your equipment serviced. This would be the time to check your regulator warranty date. Hydro for tanks can be done now too. Getting your equipment serviced now will have you ready to start diving this year. ScubaPro has changed their Parts for Life program. The old program required your regulator to be serviced on an annual basis with no cost for service kits or certain worn parts. Also, in the event you missed a year, you could pay for the service kit and labor and be reinstated into the program. The new program still covers the service kits and certain worn part but requires your regulator to be serviced every two years, or fifty dives, to remain in the program. In addition, if you miss the required service date, the regulator cannot be reinstated into the program. You can still have your regulator serviced on a yearly basis with no cost for service kits or certain worn parts as long as it's registered in the program. We at Anchor Bay Scuba will make every effort to remind you of your annual and bi-annual service date but ultimately it is your responsibility to keep track of your service date. Time: 8:00 p.m. - 9:30 p.m.
Join us at the Anchor Bay Aquatic Center in New Baltimore. Work with your equipment or just practice your skills. Do you have friends or children that want to try scuba? This is a great opportunity for you to join us and discover scuba. Come into our store and reserve your spot. or come in for more information. Eric Pfeifer for the Michigan Diver Photos. Copyright © 2019 Anchor Bay Scuba. All Rights Reserved.